Eating healthy can be difficult. It can also be confusing. Without help or guidance this may seem impossible to some. In fact, the majority of people report that doing their own taxes is easier than consistently eating healthy. Eating healthy though is a very important part in living to your highest potential. 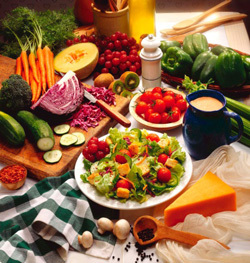 We need to nourish our bodies with healthy foods in order to live healthily and happily. These foods should assist in fighting disease, not supporting it. Eating a proper diet will help us live longer and have more energy to do so. There will never be a perfect time to change your lifestyle and your eating habits. In reality, holidays are followed by weddings, birthdays, vacations and everything else in what we call life. Healthy eating is a lifestyle, not something that you start and stop when needed. While the New Year is a great time to make a change, it needs to be incorporated at all times. Black & Gold Chiropractic & Wellness offers One on One nutrition sessions and weekly sessions with 8ww patients. For more information contact us at (319)337-6000 to see how we can help you with your healthy eating habits.